Holberton School is a software engineering school started in San Francisco that adopts a project-based education model focusing on peer learning. With a physical campus, but no teachers, students follow a rigorously structured program for two years. The program trains them to adapt to new technologies by “learning how to learn” and prepares them for the workforce by focusing on collaboration and teamwork. Holberton’s mission is not only to train the best software engineers of their generation, but also to make its program widely accessible. As CFO, Holberton’s concept of “no upfront tuition” is particularly important to me. In lieu of paying tuition, graduates of Holberton are only required to make payments if, and when, they obtain a high-paying job. Then, and only then, do they contribute a percentage of their salaries back to the school for a fixed term of 42 months. This kind of agreement—called an Income Share Agreement, or “ISA” for short—is growing in popularity within the education space. Holberton didn’t invent the ISA, but it is one of the pioneers in democratizing this kind of education payment plan. What is most exciting about ISAs is that they align the school’s success with its students: if our students don’t get anything from the education we provide, then neither do we. To be clear, the Holberton ISA is not debt, has no principal balance and no interest. Students only make payments if their annual salary is at least $40,000, and they do not accrue interest nor have any obligation of payment if they’re unemployed or earning less than the threshold. To date, recent graduates of Holberton have received software engineer internships and full time jobs with starting salaries averaging $92,000 per year, with full-time employees earning on average $105,000 per year. Today, we break another barrier. Edly, an online marketplace connecting income share agreement investors with top schools, is announcing today that Holberton will be the first to list and trade on its exchange. With a first inaugural trade of $2 million, this new marketplace will open doors to prospective investors that want to do good while doing well. Until now, we have been tied to our venture capital fundraising efforts to fully underwrite the tuition costs, limiting how fast we can expand and how many students we can welcome through our doors. With the new platform, we can make use of this new asset class and leverage it to receive an advance on student contributions. This funding will help us cover our costs, grow our campus, and expand our impact while keeping our mission front and center. 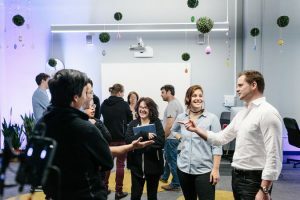 Holberton’s success will continue to be tied to its students’. With Edly’s marketplace, ISAs are becoming a more sustainable and viable tool ready for mass adoption. We are now accepting applications for the cohorts beginning June 10, 2019. 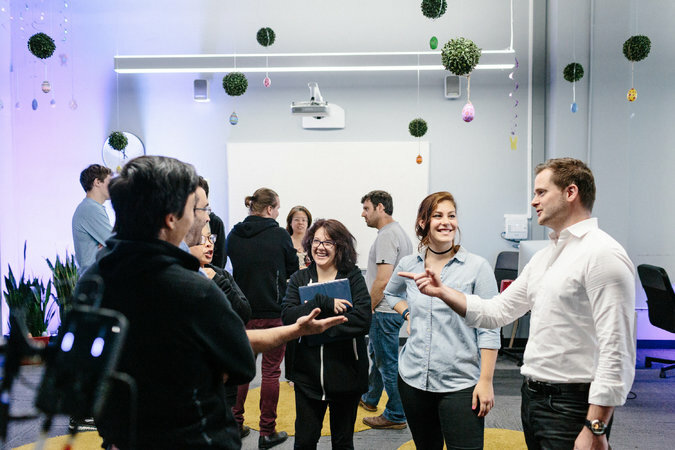 Students and parents who want to learn more about the program are encouraged to visit http://www.holbertonschool.com/education for additional information, eligibility requirements and a tool comparing deferred tuition agreements with other financial aid options that may be available to students. New York Times features Holberton, now this is BIG! 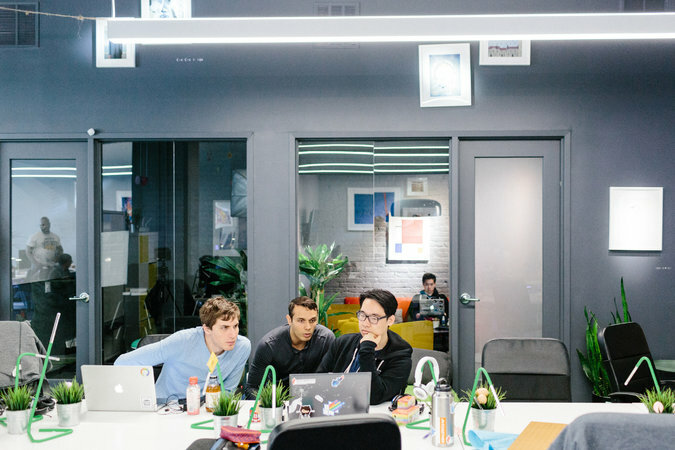 We have smiles all around while we share this exciting news with you… This morning, Holberton got covered in the The New York Times, the source the world goes to for the facts! “The main thing we’re learning is how to learn,” said Dora Korpar, Holberton student, who recently accepted a job offer from Scality, a Silicon Valley company. 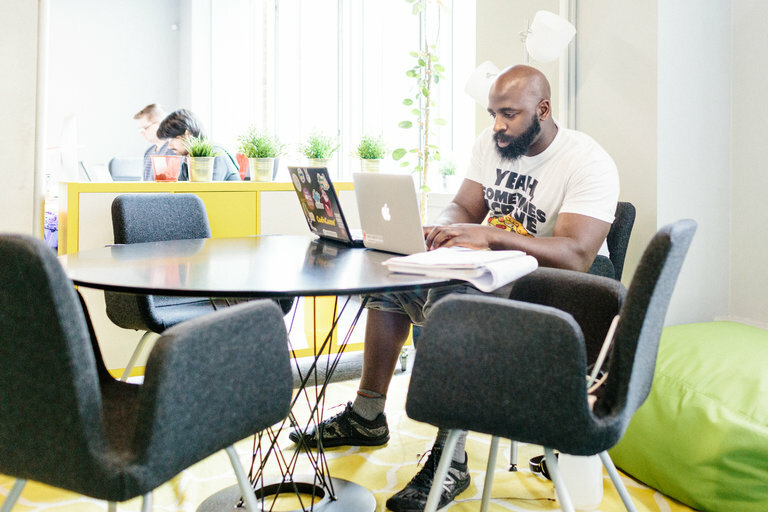 In this article, ‘Holberton, a Two-Year Tech School, Emphasizes Diversity’, Katie Benner delves into the world of Holberton, while capturing the very essence of what makes Holberton different from other schools and bootcamps. The article also touches on how Holberton is removing barriers and motivating people from diverse backgrounds come and build a career in tech. With proven records of getting students jobs at Apple, NASA and LinkedIn, even though they have not yet graduated. “I was attracted to Holberton because my school is also about social justice and teaching populations that are frozen out of the information age, meaning people of color, women and people who are not wealthy,” said Vito Ferrante, A Director of educational technology at Sacred Heart Cathedral Preparatory in San Francisco. Thanks Katie Benner for interviewing our team and curating the fantastic story. We feel honored and want to share our happiness with all of you – Thank you for being a part of our journey. We all are thrilled to go further and make our school even better. Looking forward to more exciting times!